The answer may not please you. 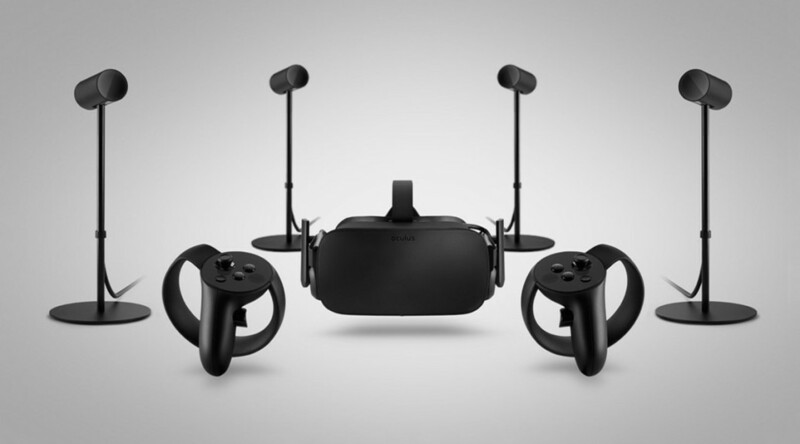 The Oculus Rift will require a powerful gaming PC to pump out the high frame rate required to make the VR experience enjoyable. Many people will have to upgrade their graphics card or invest in a new PC to meet the minimum specs required. …an NVIDIA GTX 970 or AMD 290, Intel i5-4590, and 8GB RAM. This configuration will be held for the lifetime of the Rift and should drop in price over time. UPDATE (10/5/16): Oculus has developed Asynchronous Spacewarp (ASW) to lower requirements even further. The new minimum requirement is a i3-6100 CPU with a GTX 960 GPU or AMD FX-4350 with a Radeon RX 470. This is huge! 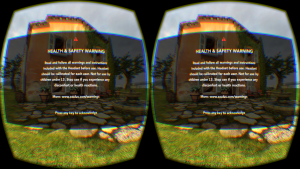 The barrier for entry to VR has been lowered significantly! The required frame rate, while not extreme, is pretty demanding for any system. 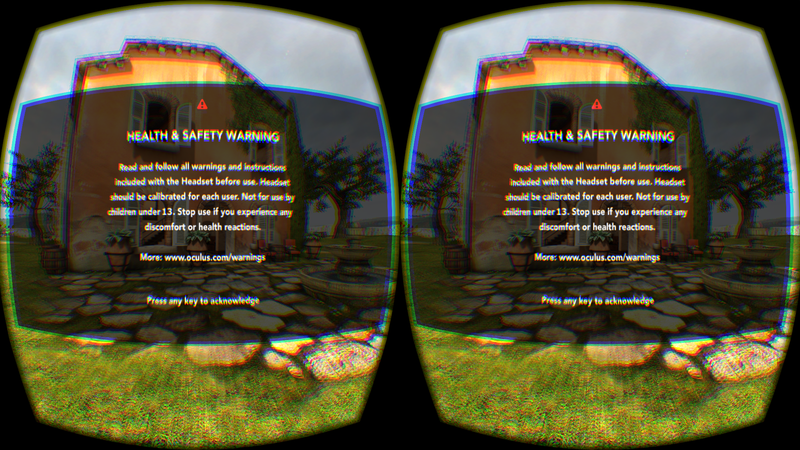 I knew my current PC wouldn’t come close to achieving 90fps for even the simplest VR demo. I would need something new to run my Rift when it arrived, otherwise I would have purchased some very expensive ski goggles. This was the start of my quest to build a PC for the Oculus Rift. The recommended specs are a good starting point for the build. One of the main goals for a Rift build should be flexibility. If you’re going to invest the money in a PC now it’s a good idea to make sure the hardware will still be relevant 12 to 18 months from now. At the same time you should resist the urge to purchase today’s top of the line components. You’ll be paying a premium for a slight performance edge that will be eroded when a new generation of graphics cards arrive. After doing some research I knew I was interested in building what could be described as a budget performance PC. I wanted my overall build to be inexpensive, have flexibility for future upgrades, and have the power to meet and exceed the Oculus recommended specs. I wanted to invest some money upfront in the processor and motherboard so they wouldn’t have to be upgraded later. VR creates a lot of problems when trying to maintain a tidy office. The Rift headset is somewhat large and not easy to store. 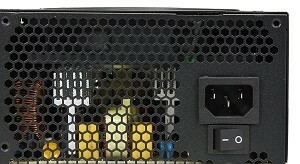 Untamed, it will eat up a lot of desk space with the Touch controllers and cables. 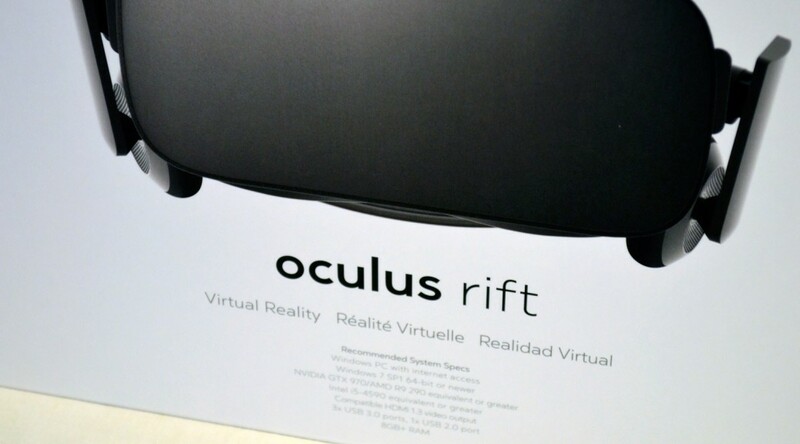 The Rift is delicate and expensive so it deserves a better fate than being dumped into a desk drawer. Rift storage can be difficult but there are options to tidy things up. 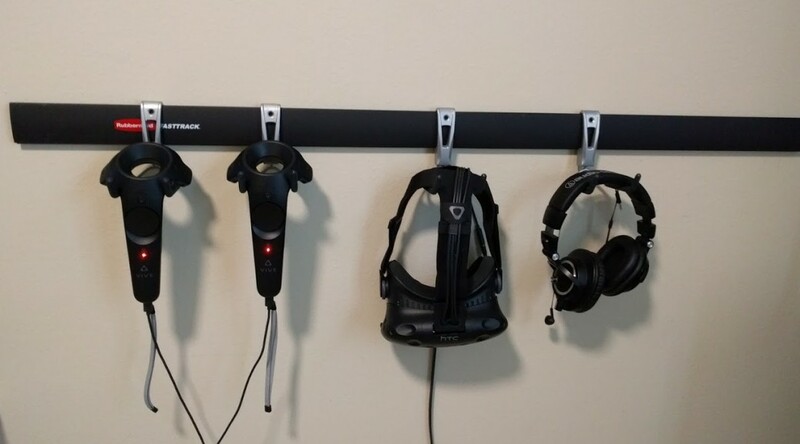 Many Vive owners have had success using a flexible track with hooks to hang controllers and the headset. This is a little easier for the Rift since there are no headphones to worry about. An extra hook can be added as tidy storage for the headset cables. The one downside of hanging the headset is that you may cause the elastic strap to stretch over time. 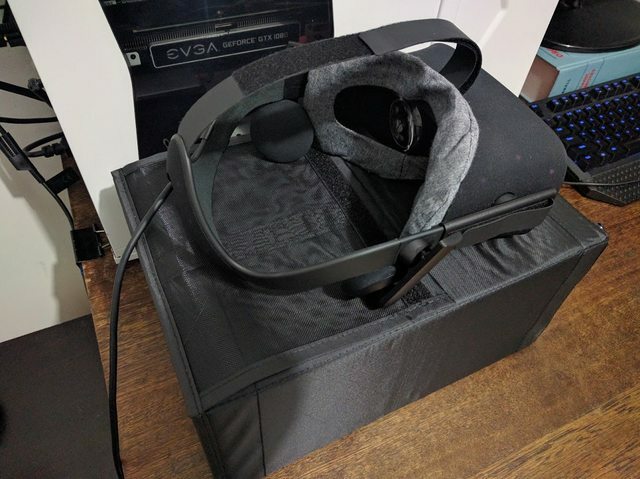 The Rift is the perfect size to fit into an Ikea shoebox which will protect it from harm and keep dust away from the fabric cover and optics. If you really want to show off your headset you can mount in on a glass mannequin head when not in use. Futuristic to some, creepy to others. Normally used for ski goggles, it’s the closest purpose built mount you may find. 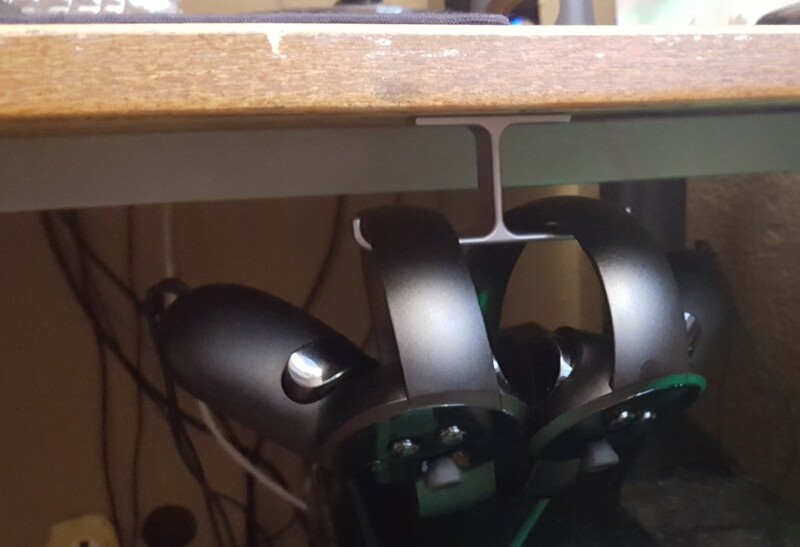 The Touch controllers can easily be hidden out of the way with an under desk mount normally used for headphones. 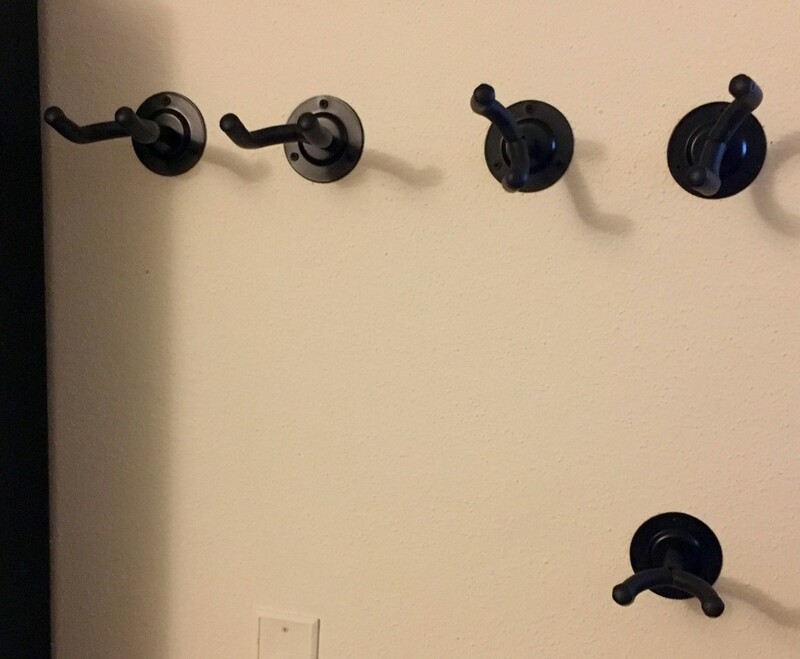 This is a slick way of keeping them accessible and hanging them for charging. VR is great but it sure has a lot of clutter. 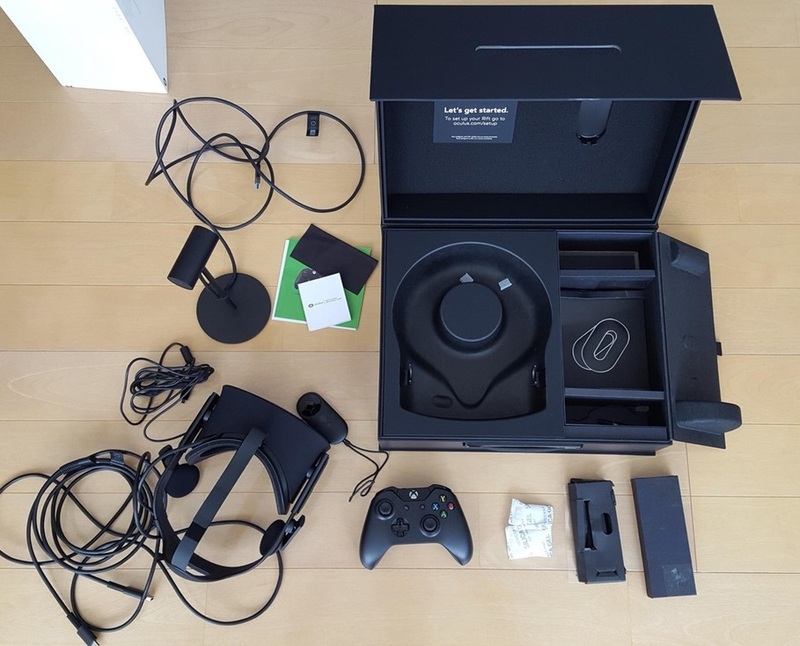 I remember the first time I cracked the Vive box – the head set, controllers, lighthouses, cables, and chargers were all neatly packed into a largish box. Unpacked, the Vive accessories can command a lot of space. I wanted to cover some storage options and ideas for the Vive and help tidy up your VR collections. Any time I use the Vive I’m juggling the head set, head phones, and a pair of controllers. This stuff will eat up a lot of desk space when not in use and it all needs to be handled somewhat carefully. 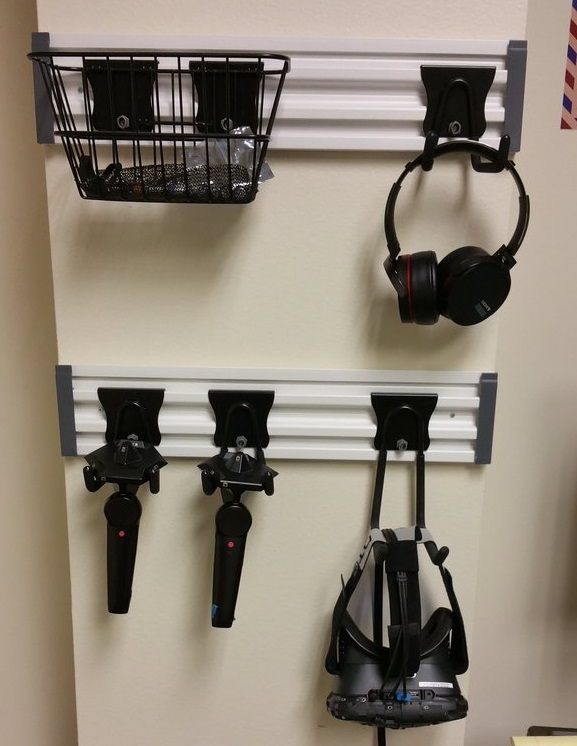 Luckily there are a few ways to neatly and safely store your Vive and controllers. 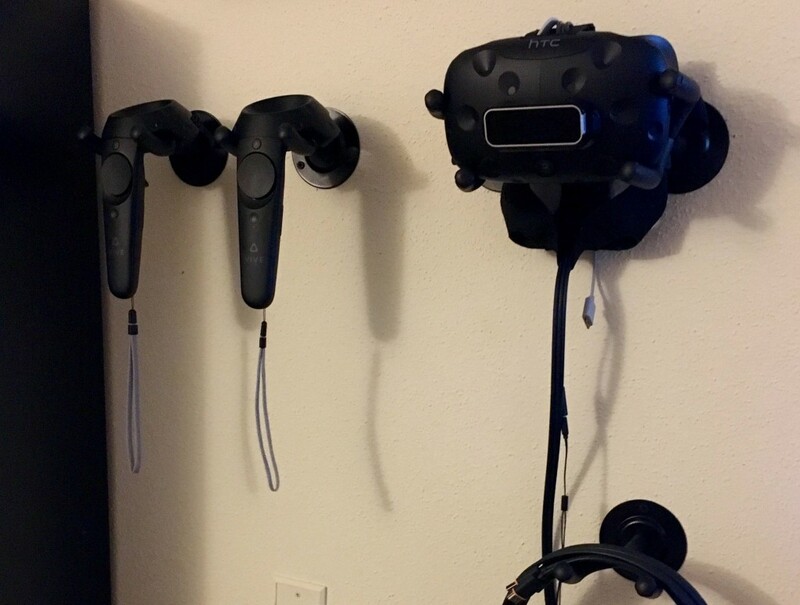 This is a nifty hook based solution that uses guitar hooks to support the Vive headset, controllers, and cables. The hooks do a very nice job of supporting the headset without stretching the elastic. Next up is two track based options that are a little more flexible and slightly more attractive, depending on your aesthetic. The one downside is they let the headset hang which will allow dust to collect on the lenses and may stretch the elastic strap. 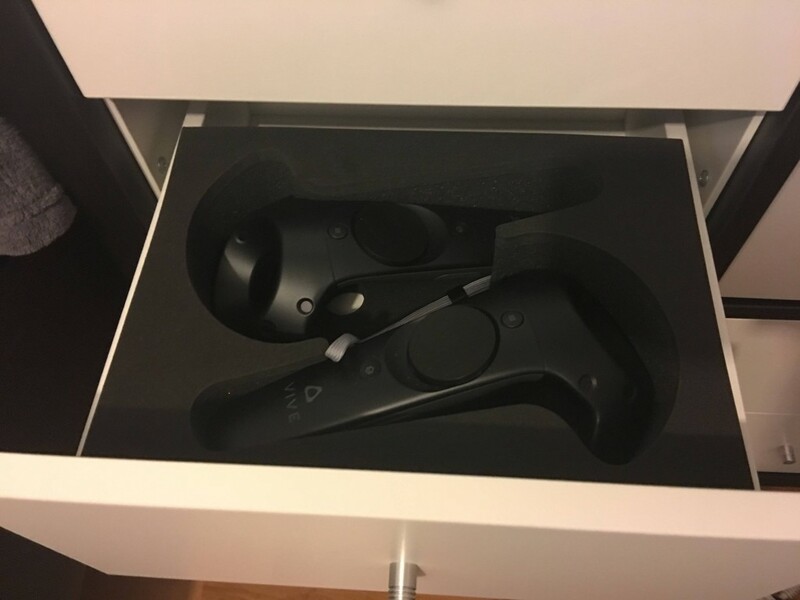 Another option is to reuse the shipping foam included in the Vive box and use it as drawer liners. Classy but not space efficient. The upside is that you completely hide your Vive in a set of drawers – much less obtrusive than mounting your VR collection to the wall. 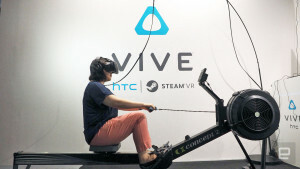 Is your office too small for your Vive or Rift? No room to move around? 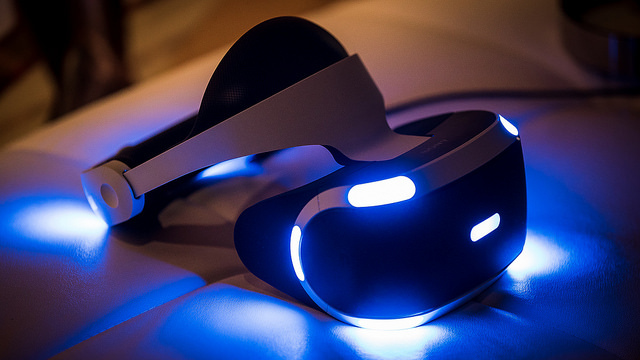 Consider moving your VR setup to your living room. Now you have plenty of space for VR but your office no longer has a PC. Luckily there is a better solution. You can extend the cables on your PC so that you can setup your Rift or Vive in another room and share your PC with your office. Now you can have the best of both worlds – plenty of space for VR and your PC stays where you need it. 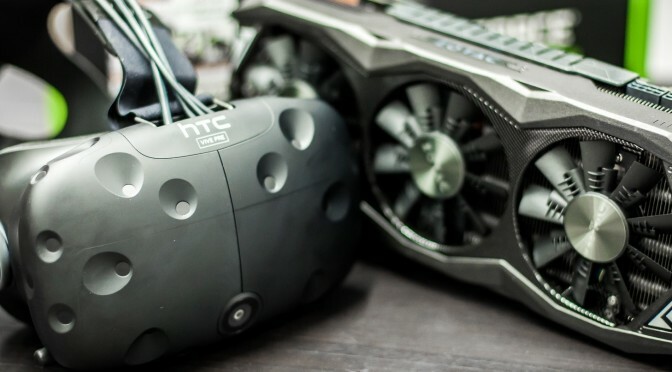 Extending your PC allows you to use your expensive VR PC wherever you want. 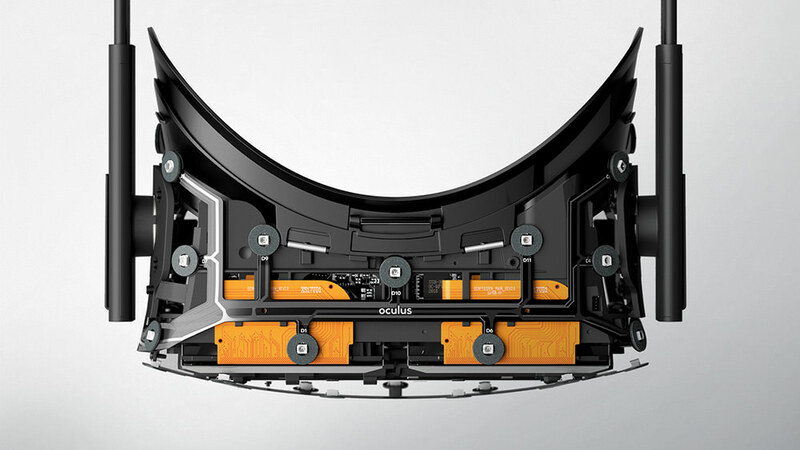 The key to extending your VR system is literally extending the wires. We need to make all the cables connected to your PC longer. The best way to do this is with Ethernet extenders that will transmit an HDMI or USB signal over Ethernet. This allows fewer and smaller cables to be run over longer distances than normally possibly with HDMI or USB. The Ethernet plugs have much smaller connectors than HDMI and require smaller holes to route them through a wall or ceiling. A note that these extenders are normally not network devices, the extenders have to be wired directly to each other with no switches or routers in between. There are two ways to solve your wiring problem and it’s ultimately a question of where you want your PC. 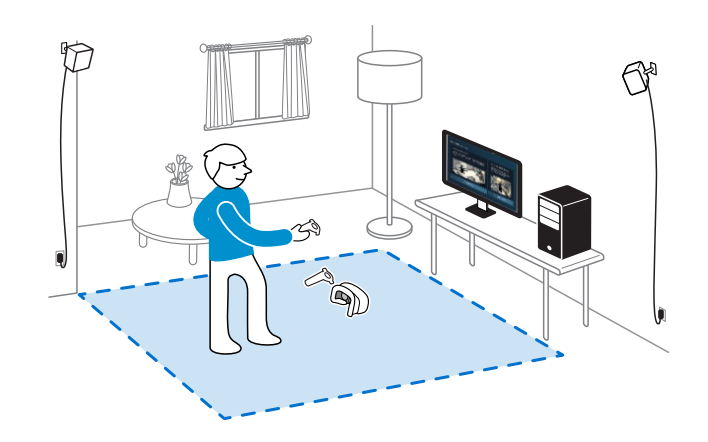 The simplest path is to leave your PC right next to your Vive or Rift and then extend the cables to your monitor, keyboard, and mouse to another room. This method has less wires to extend and keeps your VR setup simple. It allows for more space in your office but may place your PC right in your primary living space. The alternative method is to keep your PC in another room and extend all the VR cables to your VR space. 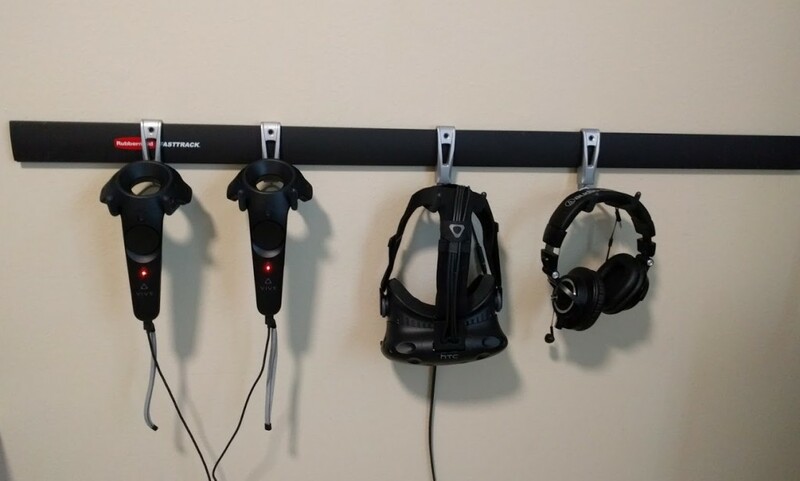 This can be a little trickier but will keep your VR space a lot tidier. Extending your monitor may be your easiest solution depending on what you need to extend and how far you need to go. The best case scenario is if you’re only going to the next room over or possibly directly below or above your PC. A wireless keyboard, mouse, and headphones should have no problem punching through a single wall or ceiling. In this case you will only need an HDMI extender for your monitor. Stray too much further and you’ll encounter a lot of frustration trying to use a wireless mouse. 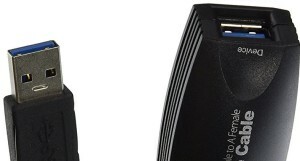 If you need to extend further distances you will need to add an extra USB extender for peripherals. HDMI Over Cat 6 Extender – This will take your HDMI signal from your PC and run it over Cat 6 directly to your monitor. It handles 1920 x 1080 at 60 frames a second with no problem. Grab some Cat 6 cabling and don’t mix up the receiver and transmitter. Remember, don’t send this signal through a switch, go direct – transmitter to receiver. If this extender uses the one HDMI port you were using for your Rift or Vive then switch over to your DisplayPort. If you need a DisplayPort to HDMI adapter make sure you get an active version. 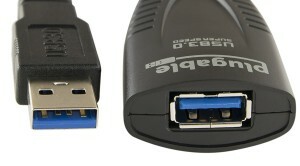 USB Over Cat 6 Extender – This takes all of your USB devices and sends them over Ethernet to your PC. There are cheaper versions available for single devices but this one is bulletproof. I prefer these Ethernet extenders since Ethernet plugs are much smaller than HDMI connectors and require smaller holes to route them through a wall or ceiling. If you’re not worried about larger cables you can purchase active HDMI and USB extension cables that will get you the same result. Extending your VR system can be a little tricky due to the number and complexity of cables involved. It’s still possible and uses a lot of the same hardware described above. The critical criteria is making sure your HDMI cable can handle the high throughput video signal and that your USB cables can handle the pass through or tracking camera throughput. Since Ethernet extenders can be touchy with higher bandwidth signals it’s recommended to only use active HDMI and USB cables when extending a headset. This will ensure the video signal arrives undistributed and without lag. Unfortunately this means the connectors will much larger and if you’re going through a wall or ceiling you’ll need a bigger hole. 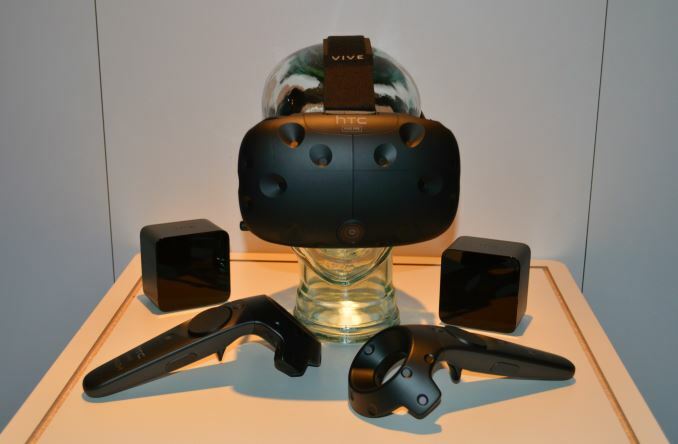 Extending the Vive is relatively straightforward, the key is to keep the link box with the headset and extend the USB and HDMI cables that run to the link box. Finding a good cable can be a little challenging as many don’t work the way they are advertised. The /r/vive wiki has a great guide on cables that have been tested. Active HDMI cable – Tested and approved, this is your best bet for a clean video signal to your Vive. Monoprice builds great cables for a reasonable price. 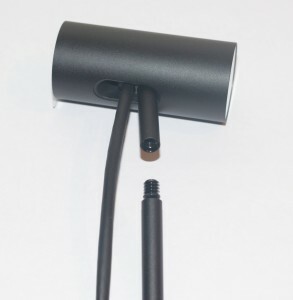 Active USB cable – This is an active USB 2.0 cable that has been tested and is working with normal camera operation. Vetted and approved. Extending the Rift is a little bit trickier as the headset and sensors are very particular about the PC port and extension cable used. There are mixed reports about active and passive cables working. The /r/oculus wiki has a good guide on cables that have been tested and are working but most are on the short side. Proceed at your own risk. You’ll need to extend at least one USB cable for the headset and one for the sensor. One more cable may be required for the controller and you’ll need to add cables down the road if you add more sensors for Touch. HDMI Extension Cable – Tested and approved, this should give you the best reach and deliver a clean signal to the headset. Headset USB Extension Cable – This is an active USB 3.0 extension cable that has been tested and confirmed as working with the headset. Sensor USB Extension Cable – Another active USB 3.0 cable, you may be able to get away with USB 2.0 for the sensor but it’s better to err on the side of caution. 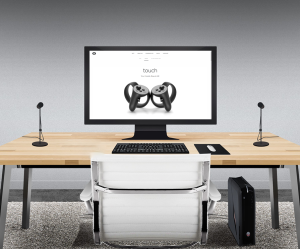 Oculus is releasing their new motion tracking input system called the Touch which leverages their existing headset tracking system named Constellation. The Constellation system uses cameras to track the headset and controllers in space to know where things are. 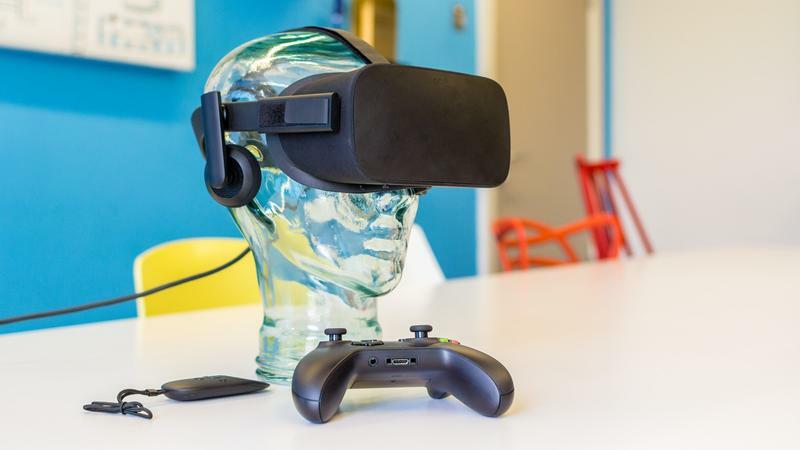 The Rift originally included one camera which could easily be placed on a desk to track the headset. 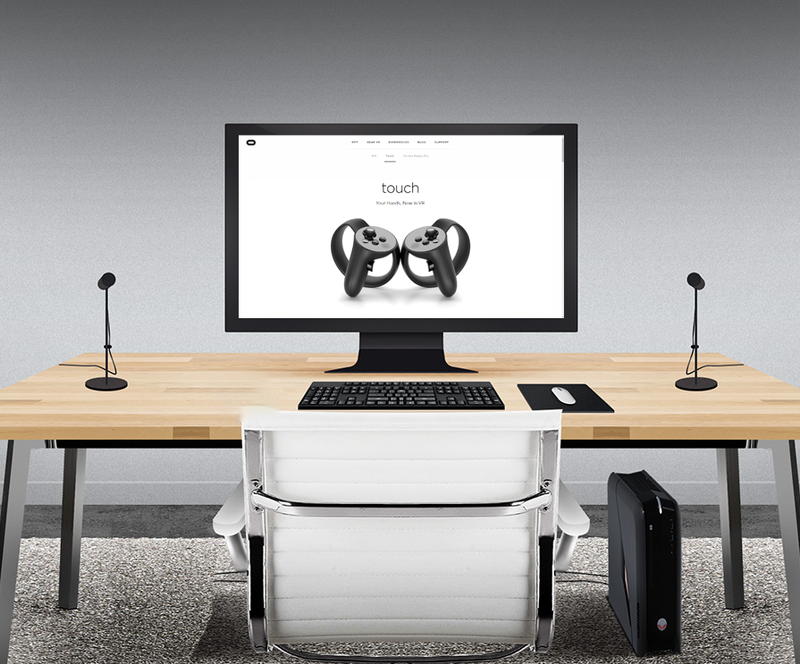 Touch allows users to get up away from their desks and interact with things all around them. 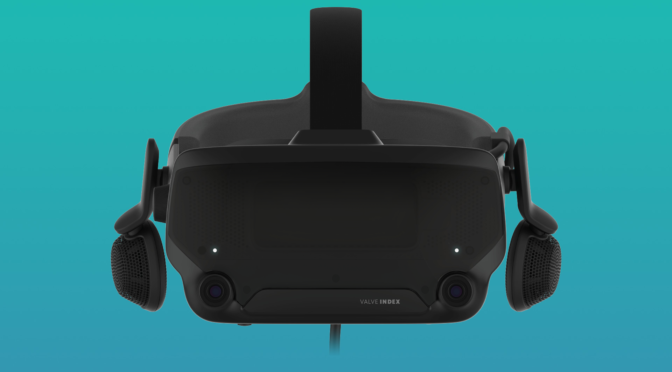 To track things clearly Oculus is including a second camera with Touch (and even recommends a third) to make sure your controllers and headset are always visible to a camera. 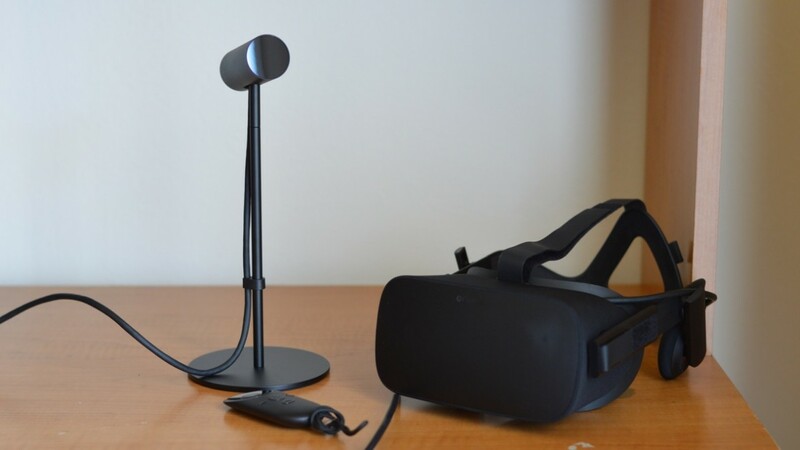 If you plan on using Touch while always facing your monitor then Oculus recommends placing both cameras on your desk, on opposite sides of your monitor as shown below. This can be a bit limiting and can eat up valuable desk space. If you plan to explore room scale tracking then you need to get a little more creative with camera mounting. 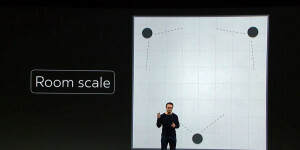 Oculus recommends the addition of a third camera to the system with all three arranged in a circle around the user. If you’re lucky you will have enough bookshelves to place all three cameras in all the right spots. If not, there are plenty of easy and creative ways to mount these cameras, many in a temporary fashion so you can maintain security deposits or meet the discerning approval of a spouse. The key to mounting the cameras is detaching them from their stands and using their 1/4-20 mounting threads which is the standard thread for photography tripods and equipment. It’s as simple as unscrewing the camera and sticking it on something else! You can also buy a light stand which will allow you to mount your camera above head level. 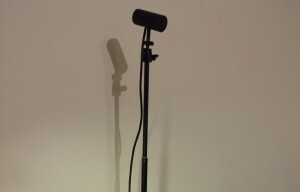 The light stands are a more attractive option but have limited flexibility. 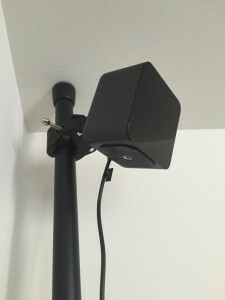 If you want to free up floor space consider a camera wall mount or a smaller speaker wall mount that will allow you to fasten the camera to a wall or ceiling. This isn’t a bad option for your desk camera either to free up some space. If you don’t want to put holes in your drywall consider drilling into a wooden door or window frame or using 3M Command Strips. If you want something less permanent but also non-obtrusive consider a tension rod and clamping tripod mount. 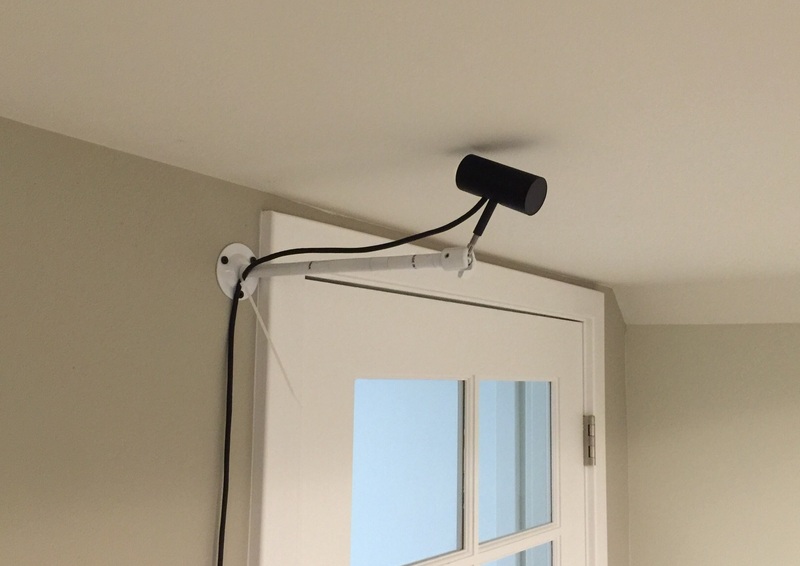 You can get creative with mounting the cameras and use the tension rod to span from floor to ceiling or horizontally across windows or alcoves. This has been a good setup for Vive owners who have heavier and vibrating Lighthouse stations. Last thing, you may want to consider picking up some USB extension cables. Depending on your layout the Oculus provided cables may not reach back to your PC! 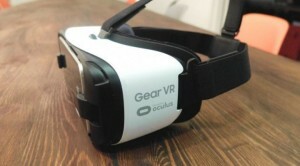 What’s the Cheapest Way to get an Oculus Rift? VR gaming started out as an expensive hobby. Originally you needed a modern and top of the line gaming PC to even think about getting a Rift. Oculus has made some recent software improvements to lower demands on your PC which has made VR more accessible to everyone. Right now you’re looking at a $1300 minimum cost for a Rift and capable PC. This doesn’t include Oculus Touch but it does get your foot in the VR door with the option to add Touch any time in the future. 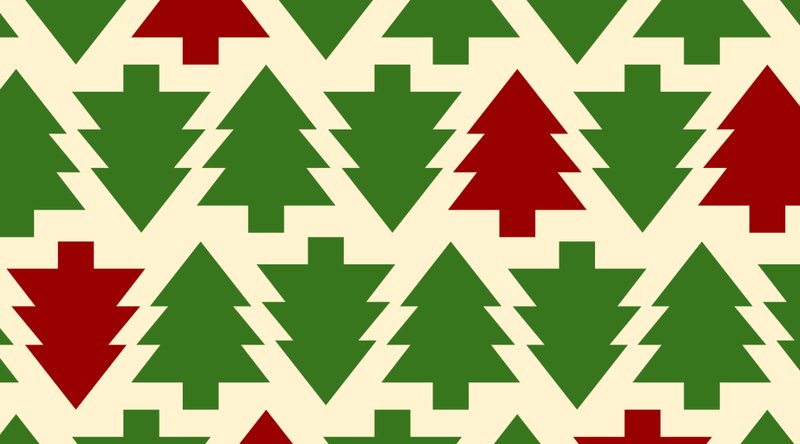 The key change for lowered requirements was a new technology called Asynchronous Spacewarp or ASW. The improvement here is that ASW allows games to run at a much lower frame rate with software filling in the gaps between frames. Essentially you’re getting more bang for your buck. In the meantime you can pick up the next cheapest thing which is an Intel i5 system with a RX 480 GPU. This may actually be a better option as it gives you a little more muscle under the hood.